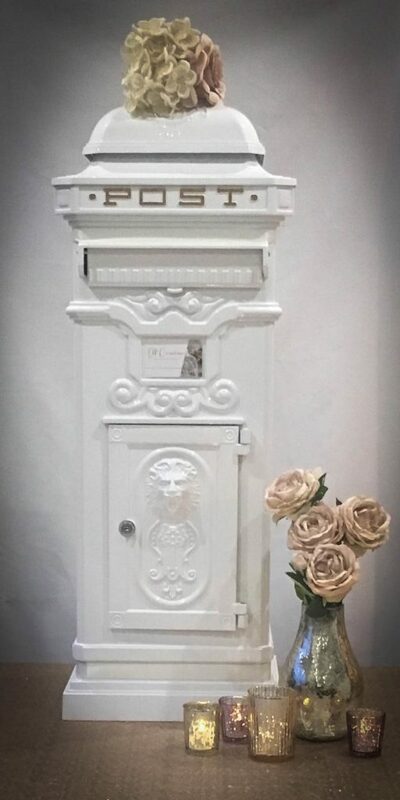 Our cast aluminium pillar post box adds real charm. 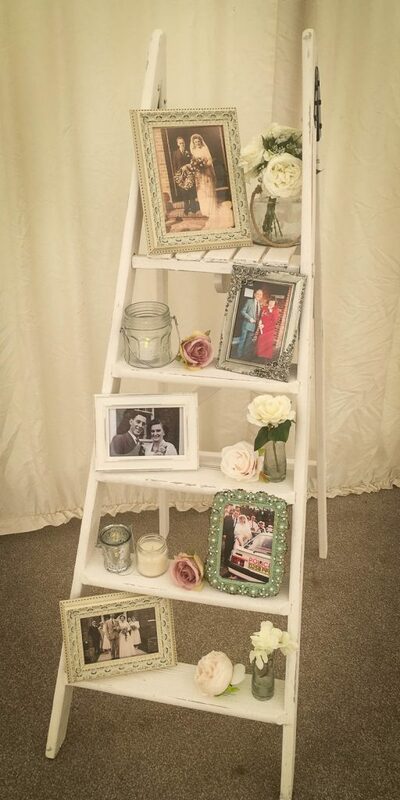 It is fully lockable and can be personalised with your names, wedding date and venue. We will also add a flower/ribbon to tie in with your theme for that extra special touch. 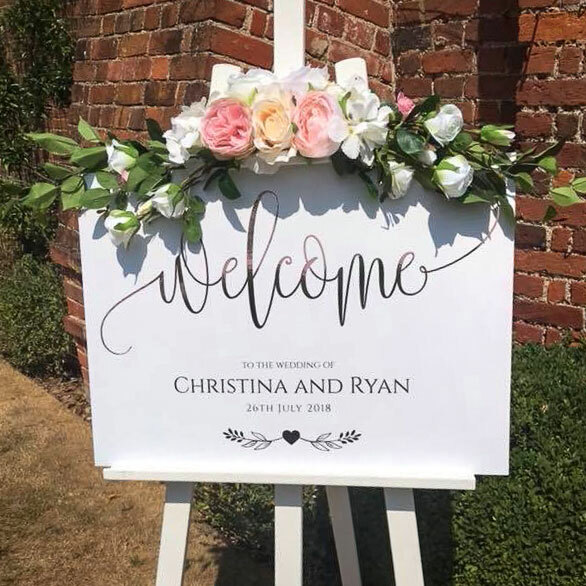 We offer a range of personalised wedding welcome signs – from mirror signs to rustic wedding welcome signs. Decorate your venue with beautiful lanterns – great for lighting up the aisle, venue entrance or those dark corners! We have a large selection of lanterns available including copper, chrome and vintage. Even the darkest venues can be turned into something romantic and magical with the use of fairy lights. 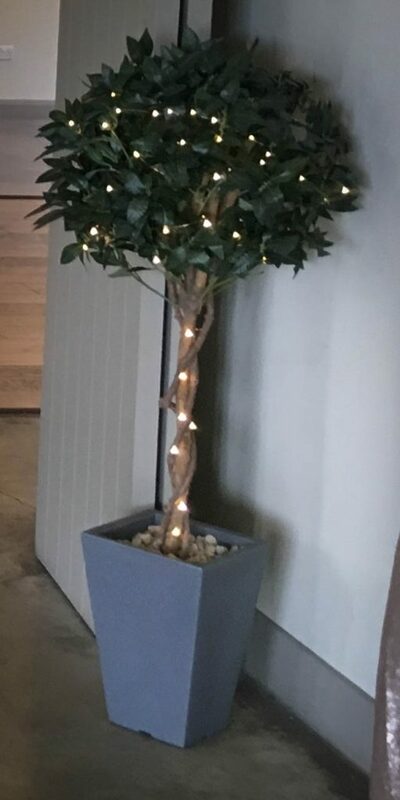 Our PAT tested lights can be draped from the ceiling or wrapped around beams to build the mood. Trees can really soften a room and set a beautiful ambience. 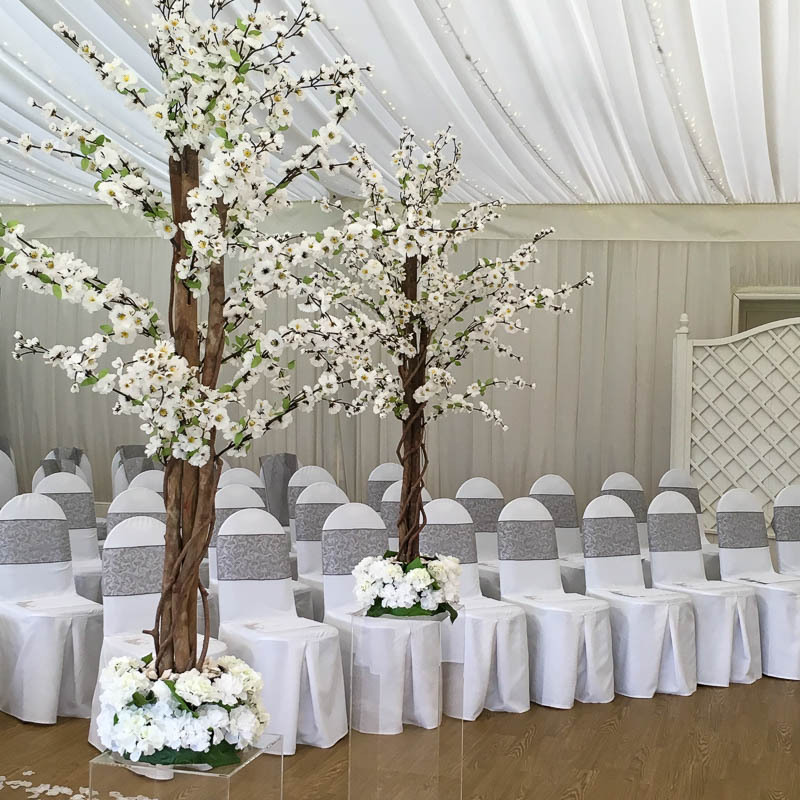 We have different styles available including bay trees and blossom trees, ideal for the end of an aisle or outside the venue entrance to set the scene. Looking for something bespoke? Please contact us if you have something in mind for us to source and create a bespoke look for you.